I just got this great iPad car headrest mount from Evergreen Nature. I have four kids so traveling sometimes can be a real difficult task. I am a big fan of watching a movie in the car just to keep them busy however I don’t have a built in DVD player in the van so we use the iPad. Now with this headrest mount I can strap it the back of the headrest and everyone can see the iPad and there is no fighting over who is going to hold it. It’s super easy to install and use. You just pop the iPad into the holder and then use the velcro strap to attach it to the headrest. It’s adjustable with the velcro so you can use it on any vehicle. Now you have your iPad and it’s up where everyone can see and no one has to held it. You can still use the screen (it’s open) and there are holes for the cords and buttons. Love it! 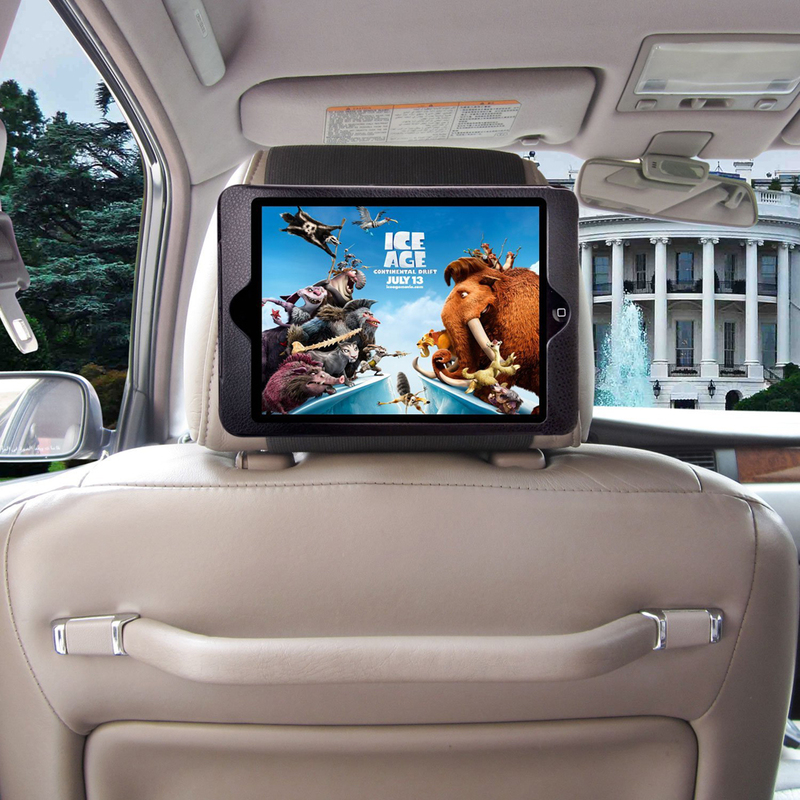 The best Apple iPad car mount for your Apple Ipad 2, 3 and 4. Sleek design, allows for quick and easy installation and removal. Simple to use with no instructions or tools required. Made from high grade materials for superior protection. Quality finish which looks stylish in the car and multipurpose as doubles up as a carry case with stand. Adjustable strap helps to aid quick and secure mounting on virtually any car either around the headrest or the headrest posts via the extra-long strap. Allows full access to all ports and controls including access to volume controls, cable connector and speakers and front and back cameras (where applicable).